NOAH MEASE is a writer and designer, living and working in New York City. His plays include OMEGA KIDS (New Light Theatre Project), SCIENCE PARK (Ars Nova / Out Loud), and REPUBLIC (JACK, Manbites Dog Theatre.) Noah is a co-creator of Third Person with Ryan Courtney and Jay Stull and is a current resident artist in Ars Nova's Play Group. Other artistic affiliations (past and present) include New Light Theatre Project, Fresh Ground Pepper's PlayGround PlayGroup and BRB Artist Residency, Smith Street Stage, Teatro IATI's Cimientos Writers' Group, the Tugboat Collective and the Vermont Governor's Institute on the Arts. Through his work, he explores science, fiction, space, and time, and how queer love might shape the future. 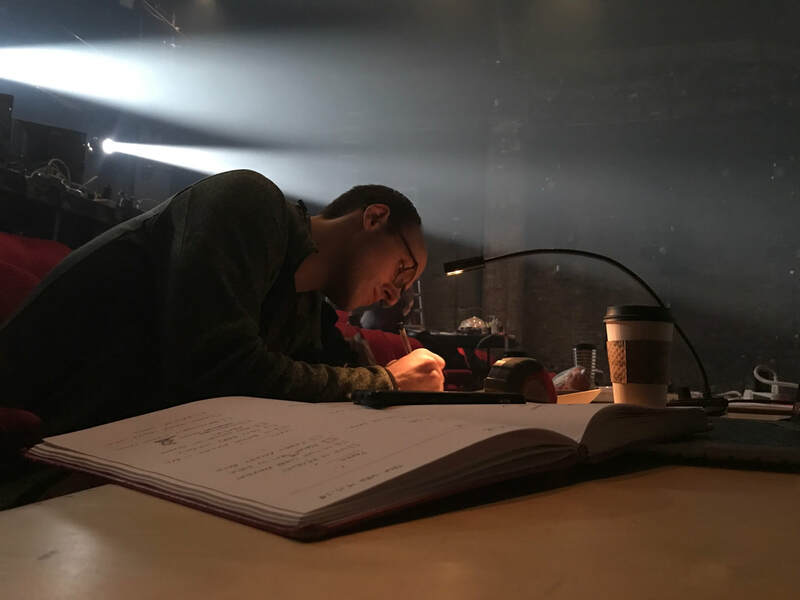 Noah was the second-ever props artist to receive an OBIE Award -- a Special Citation for Collaboration shared with the entire creative team of Annie Baker’s John (Signature). Other prop design credits include Natasha, Pierre & The Great Comet of 1812 (Broadway, A.R.T., Kazino – Tony Awards for Best Set and Lighting Design), Daniel Fish's Oklahoma! (St. Ann's Warehouse), Hadestown, Slave Play, and Light Shining in Buckinghamshire (New York Theater Workshop), After the Blast (LCT3, including the visual design of Artie, a robot), Adrienne Kennedy's He Brought Her Heart Back in a Box (Theatre for a New Audience), An Octoroon (Soho Rep., TFANA), Mrs. Murray's Menagerie, The Lucky Ones (Ars Nova), Small Mouth Sounds (Ars Nova, Signature Center, National Tour), Futurity (Ars Nova/Soho Rep.), School Girls; or, The African Mean Girls Play (MCC), Streepshow! Season One (The Tank), and three plays by the The Debate Society: Blood Play (The Bushwick Starr, The Public), Jacuzzi (Ars Nova), and The Light Years (Playwrights Horizons). He wrote and illustrated a companion comic book for Omega Kids, which was featured in Time Out NY as "the season's coolest prop," and drew comic pages and additional illustrations for the printed script of Underground Railroad Game (Ars Nova). He's the lead artist and character designer for the ongoing indie comic A Small Favor (Enkidu Studio). His theater work has been profiled in American Theatre Magazine, ​The New York Times, Time Out New York, SDC Journal, and Culturebot. He holds a BA from Middlebury College in Spanish & Theater. Originally from Vermont, Noah now lives in the South Bronx.